4 Bedroom Terraced House For Sale in Hertfordshire for Guide Price £1,195,000. 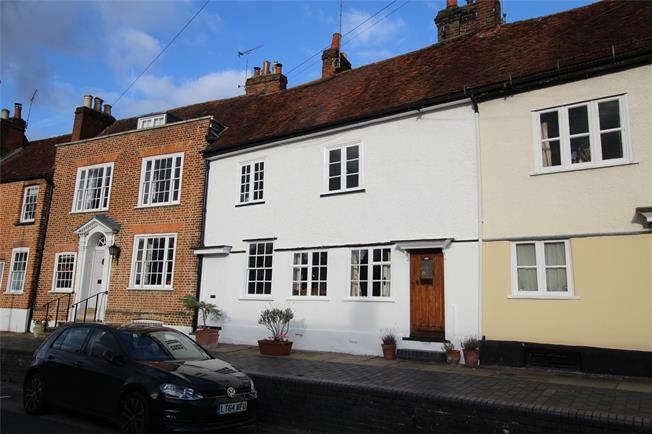 Formerly two separate dwellings, 156 and 158 Fishpool Street were combined many years ago to create a period home of much character, located in St Albans most historic old conservation area close to St Michaels Village and Verulamium Park and Lakes. Available for sale for the first time in over 30 years, this beautiful Grade II Listed period home offers versatile accommodation arranged over three floors to include an entrance lobby, sitting room, drawing room, cloakroom, kitchen, study area and garden room on the ground floor. On the first floor are three bedrooms and two separate bathrooms and on the top floor a further 20ft bedroom with access to roof storage. The historical city of St Albans provides for a comprehensive range of shopping, restaurants and leisure facilities. Locally there is an excellent selection of schooling; both state and private. For the commuter, there is a fast one stop train link to London St Pancras International and Kings Cross Station (fast train 19 mins) with interconnecting Eurostar service direct to Brussels and Paris. The M25 is available at junction 21A connecting to the national motorway network. To the rear is a private garden with steps up to an area laid mainly to lawn with mature shrubs and plants, and also within the garden is a timber summerhouse/outbuilding.